← Does Drinking Water Have an Expiration Date? In the world of food and beverage these days, there are so many different versions of everything. And when it comes to water, the same phenomenon applies. Have yourself some boiled water infused with herbs and spices (basically a cup of tea), or some high pH alkaline water. If those don’t interest you, opt for some refreshing cucumber water, or perhaps a cold bottle of distilled water? Continue reading to learn some facts about these 4 common types of drinking water, and the various benefits they can offer with daily consumption. If you’ve been to a nice spa before, you are likely familiar with this refreshing and upgraded version of drinking water. Cucumbers are 95% water and contain important essential elements like beta-carotene, manganese, and many antioxidants. For this reason, they offer several health benefits. Not only are they great for hydration, they also contain anti-inflammatory properties, reduce cholesterol levels, treat constipation, and help with digestion. 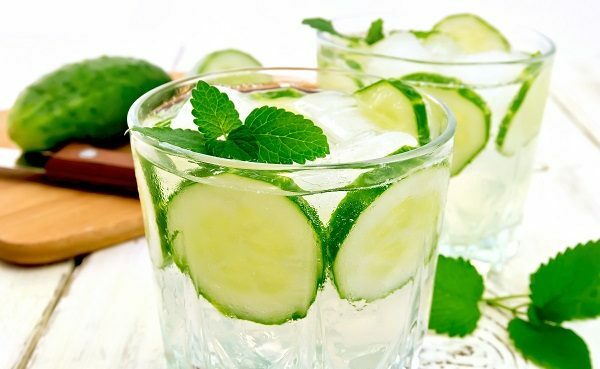 To make cucumber water, all you have to do is add some cucumber to clean, filtered drinking water! Alkaline water is drinking water that has been treated through an electrolysis process to have a higher pH level, giving it a high content of active hydrogen molecules. Water is considered alkaline when it has a pH level higher then 7.0, and many believe that drinking it will deliver a broad range of benefits. It is said that drinking this type of water can boost the immune system, balance the body’s pH levels, work as an antioxidant, and improve overall hydration. If you are a bottled water drinker, you are a distilled water drinker. Distilled water is simply purified water that has been filtered of hard minerals and other contaminates, making it a great option for a daily beverage. Also known as demineralized water, it is great for hydration, energy, immunity, and overall health. However, some argue that the elimination of certain essential minerals like calcium and magnesium can be detrimental to our health, long-term. Distilled water is the top choice for industrial and laboratory applications. If you are in the habit of having a daily cup of caffeine-free tea, you are doing something right according to several health professionals, especially those who practice Ayurvedic medicine. It is suggested that drinking boiled hot water can provide a wide array of health benefits. It can help with weight loss, digestion, constipation, acne, dandruff, and more. It is also said to help eliminate body toxins, promote circulation, increase metabolism, and even relieve minor pain. Try a hot cup of water with lemon juice, or your favorite caffeine-free herbal tea. Want Healthy Drinking Water Straight From the Tap? 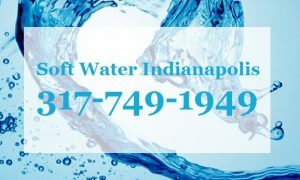 Call Soft Water Indianapolis by Weilhammer Plumbing at 317-749-0949 for affordable water filtration services in Central Indiana. We offer a wide range of water purification services for residential and commercial properties, including whole house water filters, reverse osmosis systems, water softening, and more. Call 317-749-0949 to request a free estimate, today. This entry was posted in Water Filtration and tagged alkaline water benefits, Ayurvedic medicine, Boiled Water Benefits, cucumber water benefits, Indianapolis Water Filtration Services, types of water. Bookmark the permalink.